Smartphones » ‎LG unveiled the new G3 Dual SIM With Qualcomm Snapdragon 801 SoC . LG, One of the oldest brand names of the mobile Industry is always ready for an open fight with its near competent. They never hesitated to bring varieties to their smartphones. Still they couldn’t achieve well as they desired. Recently this Korean avant-gardist has shown some signs of resurgence. LG has struck with a record of 10 million shipments with their LG G3 (D585) model. 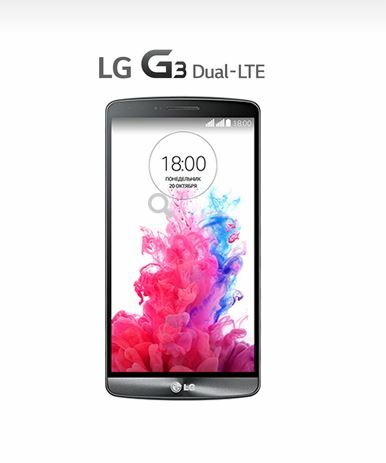 Now LG felt the need of a successor to this successful model as they launched the latest G3 Dual-LTE (D586). You can’t expect a massive upgrade on the newly released device. But LG restyled it to a Dual SIM device. LG has improvised the previous LG G3 by introducing Dual SIM facility which is a must feature now a days. Most of the smartphones in the market with the same price range has this feature which really made LG to think again. LG’s Display is always a visual treat to the users. They never compromised on display as usual. 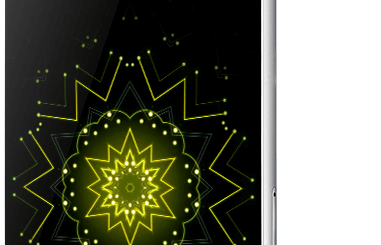 This device has a 5.50-inch screen with capacitive touchscreen. Added to this with a pixel density of 538 PPI makes it a wonderful choice. You will experience an excellent presentation of videos with the 1440×2560 pixels resolution. The underlying hardware has not changed much from the predecessor as it is based on the Qualcomm Snapdragon 801 processor. But there is a slight upgrade from 2.46GHz to 2.5GHz is not going to affect the performance considerably. The user will not feel much difference in the functioning. Another important upgrade is the introduction of 3GB RAM. L3 G3 had only 2GB RAM. We can assume that this is a clear sign LG for making its device ready to compete with any product around. 3GB RAM with the price range of $640 is not a bad option for the customers. LG has felt the necessity of improving its internal storage to 32GB from 16GB. There are many choices available for the user with the same storage capacity for the same price range. In order to continue the current momentum in the market LG is working so hard and one who is going to enjoy the benefit is the customer. No upgrades have been made with the Camera and it comes with a 13-Megapixel rear camera and 2MP front camera. LG has also detached the Infrared red and Wifi direct facilities which was available with the earlier version and introduced Proprietary data connector with this phone which is available with all iOS devices. The device also supports LTE-A Cat.6 network that can provide maximum download speed of 225 Mbps. The battery capacity of 3000mAh provides better battery backup but is not removable unlike the LG G3. Metallic black and Silky white color varieties are available in the market. G3 Dual SIM device seems to be a good upgrade from the LG and user will not regret for choosing it.